I know this look is totally reminiscent of this one, but I kind of feel like it’s its more laid-back sister. 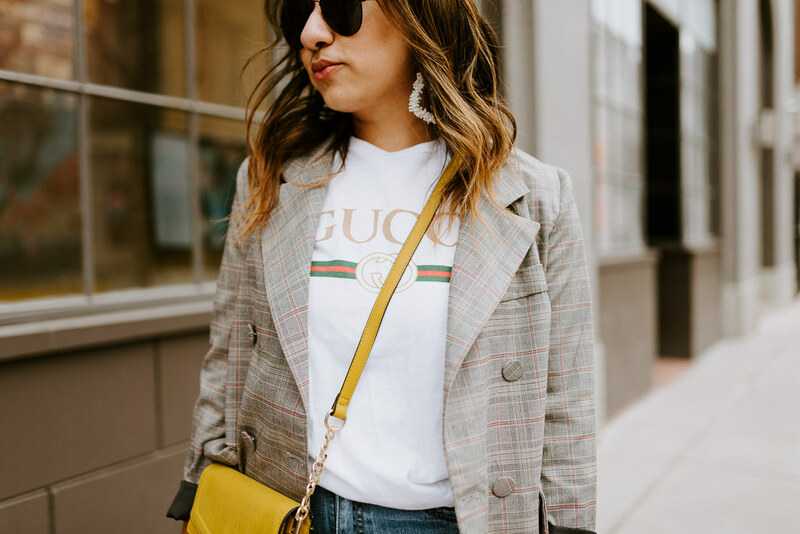 I actually last wore this exact blazer here, and I think pairing it with the mom jeans is an even better fit. And before you ask, yes, this shirt is a dupe and I’m obsessed. I could never fathom paying hundreds of dollars for a tee, but under $40 does the trick. I love the casual vibe of this outfit but the blazer makes it seem a bit more polished. Add in a pop of color from the bag, and I’m ready to go! I am loving the mom jean trend and hope it stays around for a while.